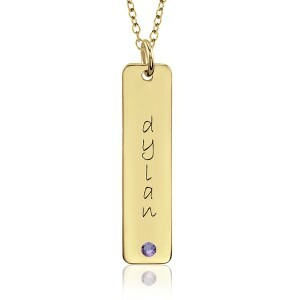 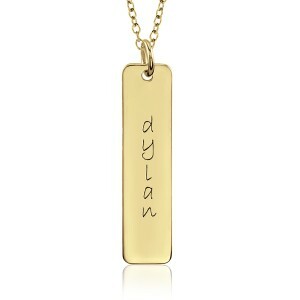 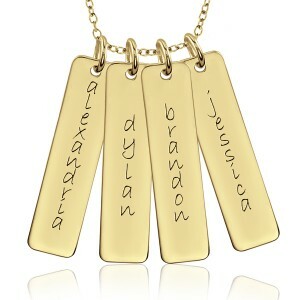 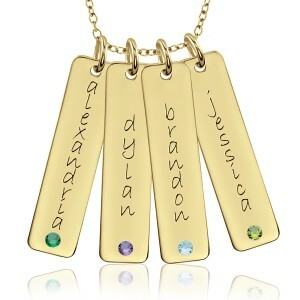 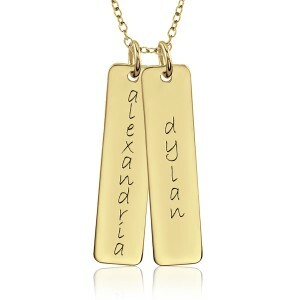 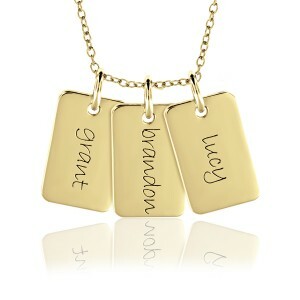 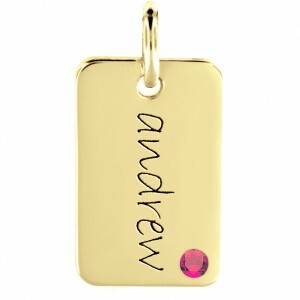 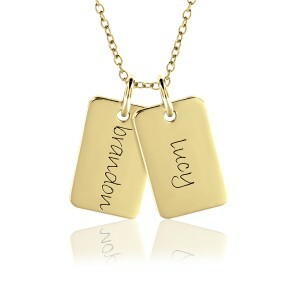 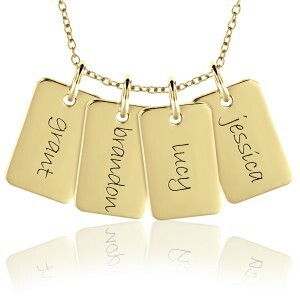 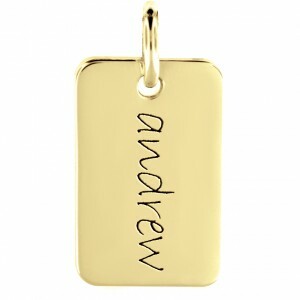 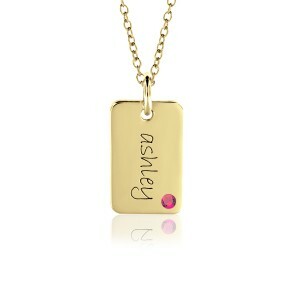 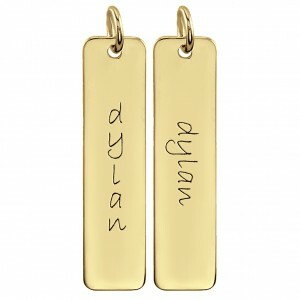 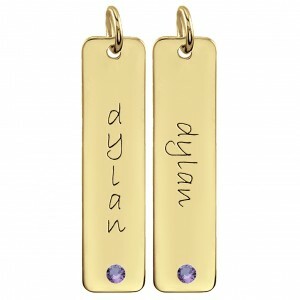 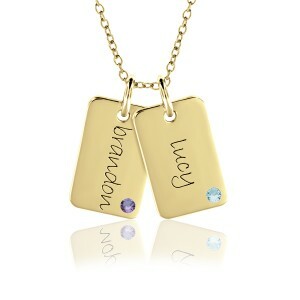 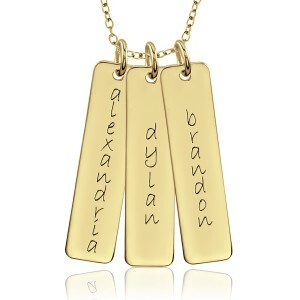 POSH Mommy Tall Tags in gold vermeil (pronounced ver-may) are a more affordable choice for gold lovers! 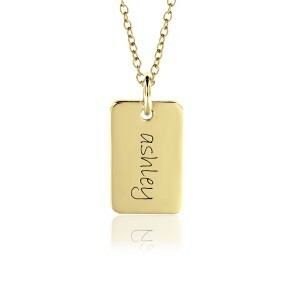 POSH Mommy vermeil is an amazing quality 18K gold plating, perfect for those who cannot usually wear plated jewelry items. 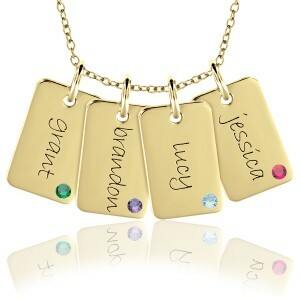 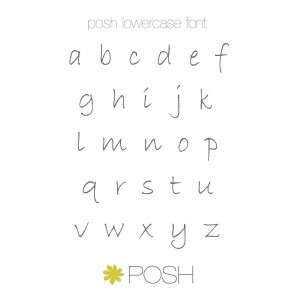 Names can be inscribed vertically or horizontally in POSH or Tanner font. 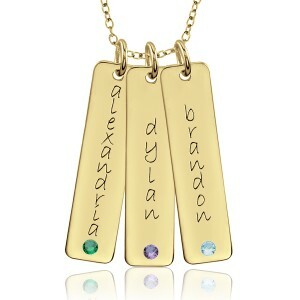 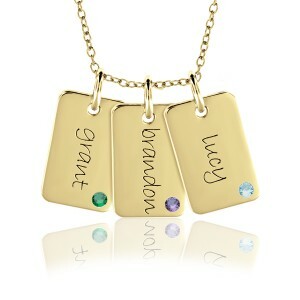 Add a birthstone for an extra special touch!